AAA Action Doors caters to commercial business owners and residential homeowners of the Greater Las Vegas, Nevada area, supplying a number of garage door services. We are completely licensed and insured to offer professional quality and affordable pricing. Our technicians are trained, experienced, and skilled and up to the task of any service we offer, delivering superior execution on consistent bases. At AAA Action Doors we only use premium quality products, equipment, supplies, and tools, exclusively offered to licensed professionals to ensure maximum results. 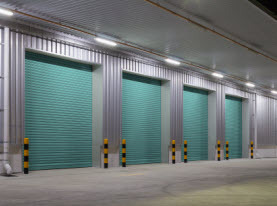 In an effort to assist our commercial customers throughout the Las Vegas, Nevada Valley, we have compiled a list of frequently asked questions concerning commercial garage doors. If you do not see your question, please feel comfortable to contact our friendly office staff and we will happily answer the questions you have. Q: How much do commercial garage doors cost? A: There are many variables to consider when determining the costs of a commercial garage door. 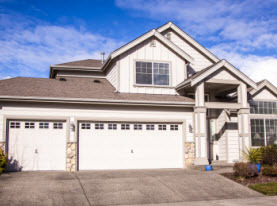 –	Durability and reliability in finding the most optimal materials and engineered garage door to avoid quarterly repairs. –	Maintenance protocols, as some makes of garage doors require more maintenance than others to keep up aesthetic appearance and performance. –	Ensures it fits in the budget. –	The features you want; excessive windows to permit natural lighting, etc. All these specifics can be hatched out during AAA Action Doors consultation service. 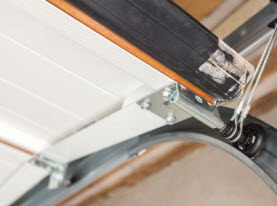 Q: What is the cost of commercial garage door installation service? A: We know that there is a budget for everything when running a business, unfortunately, stating a set price for garage door installation is not something written in stone. With too many circumstances determining the service cost, it is all relative to the type of commercial door, lifting mechanisms and clearance allotment, components and accessories of the project, whether the garage door is manual operating or electric door opener, and so on. During the consultation and all pertinent facts, AAA Action Doors can give you a written estimate of garage door installation. Q: How much commercial garage door headroom is required? A: There are many differently sized doors concerning commercial buildings. The low lift, standard lift, and high lift requirements is determined by how much headroom is available. Q: Can commercial garage doors be color coordinated to match the aesthetics of the building? A: Yes. When purchasing your commercial garage door, you can select the color of your choice. Q: Is maintenance really that important? A: Absolutely. 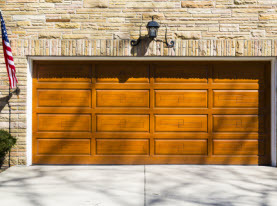 As with most things that have moving parts, the better care and maintenance you provide the better the performance, the longer it will last, and where garage doors are concerned, the safer they will be. We know there are countless questions commercial business owners have concerning their garage doors in the Las Vegas, Nevada Valley, and we will continue to add more questions as the accumulate. In the mean time, if your commercial garage door question was not listed, please contact AAA Action Doors today and our knowledgeable staff will assist you.